For those who want to trim down their wallet. 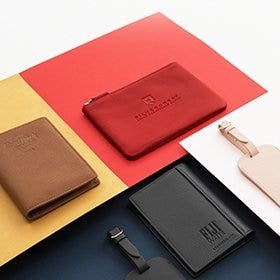 The Slim Card Case is a handy leather card case with just enough room for your key everyday credit cards, and a slim pocket for a few folded bills. Made to easily fit in your back pocket, this low-key card case wallet will keep all you need on the daily. design is awesome. great quality leather. even after 2 weeks of use the color still holds firm. buying another after this one. I bought one for my boyfriend and one for myself and I couldn’t be more happy. I got the scarlet color and its a beautiful red! Added the yellow gold monogram and it looks even more beautiful. Leather is very soft! Will be purchasing more from here. Not to mention package came days early! 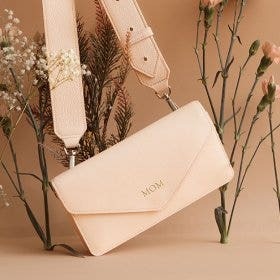 Ordered this in Rose with a Rose foil monogram. Ordered on a Monday with standard shipping, and it arrived on Thursday. I couldn’t believe it! The packaging was extremely nice and well done. 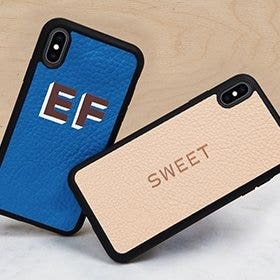 Very classy, The case is of good quality, and the color was perfect. The Rose foil monogram dressed it up nicely. My wife loved it! 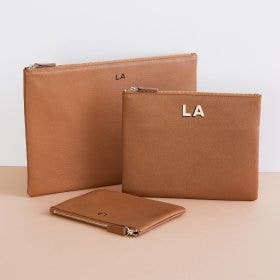 I bought this slim card holder for my boyfriend with his initials in it on the side. Turns out - he uses this one ALL of the time and has ditched his other big leather wallet. This is the perfect gift for boyfriends or any man in your life. He absolutely loved it and the quality is fantastic. Sturdy, fine leather, just a great gift all around. Definitely will be buying again! This wallet made a beautiful gift for my dad for Christmas this year. 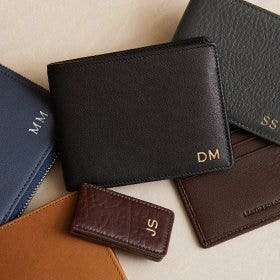 I ordered the Ebony embossed with his initials in gold in the corner. I have made several purchases from Leatherology and this certainly won't be my last. The ebony is a super soft, pebbled leather. Highly recommend. 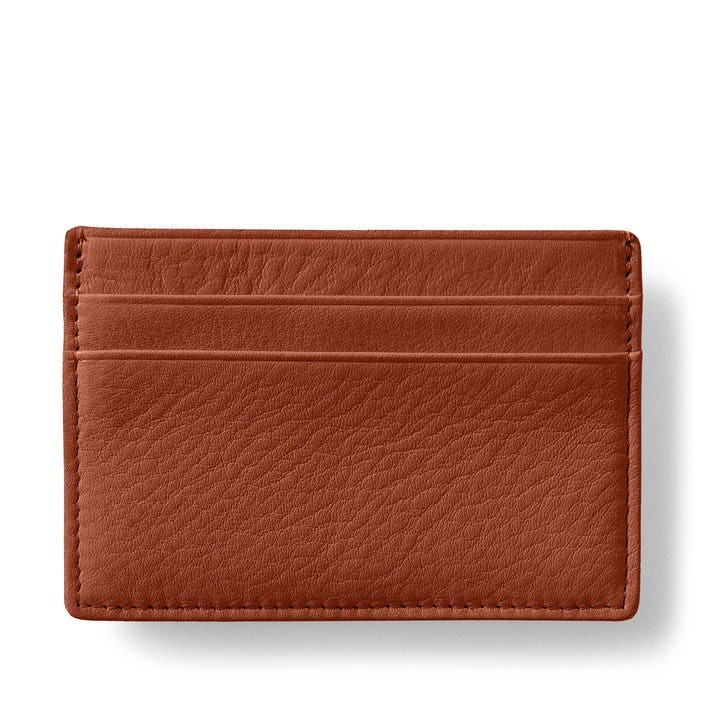 I bought this as a replacement for my husband's 20 year old slim wallet from Coach that was falling apart. He lived it! Quality was outstanding! And he loved that it was monogrammed! Thanks for making such a nice Christmas gift for him! Purchased two of the slim card cases as gifts for Christmas. They were an immediate hit! 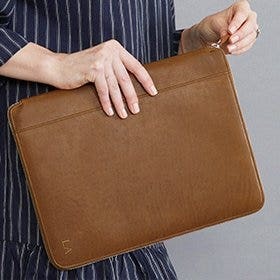 Even the soft leather wrapped around the case was noticed. Definitely would purchase again. This is another beautiful piece to add to my Cognac collection. 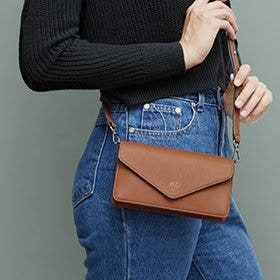 I carry a small crossbody purse and this fits perfectly in one of the pockets. 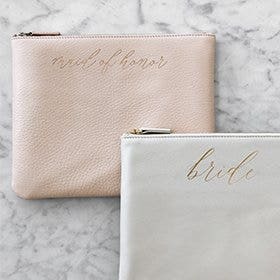 I use it along with the small wallet & together they carry all the cards I need.